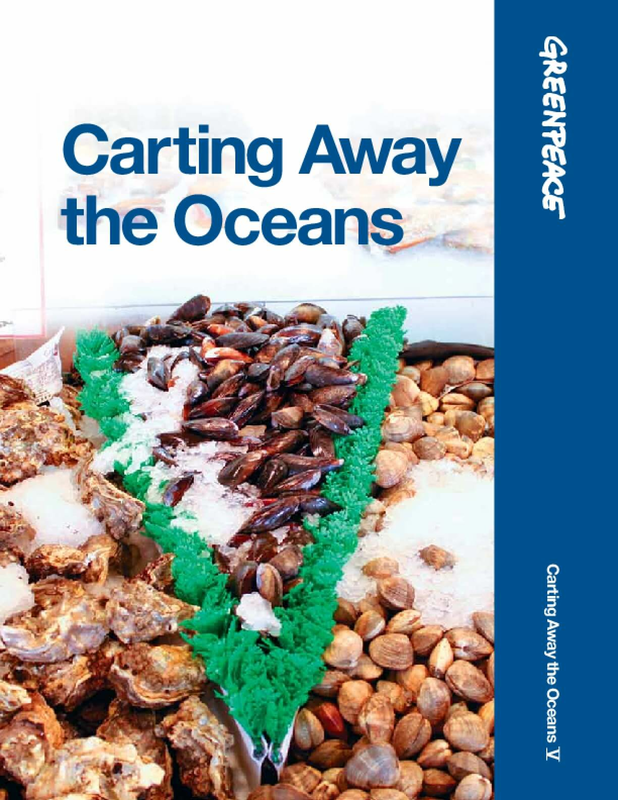 This is the fifth iteration of Greenpeace's Carting Away the Oceans (CATO) project, and there can be no doubt that over the past four years, this report has tracked a current of progress and innovation emanating throughout the seafood sector. Through progressive policy development, public support for conservation measures, and the elimination of unsustainable seafood inventory items, a conventional mega-grocer—Safeway—has captured the top spot from the previous standard-bearer, the Target Corporation. In doing so, Safeway has underscored the reality that supermarkets from all sectors can and must incorporate sustainability into their seafood operations as the industry evolves. Indeed, we have now seen the CATO pole position held by companies representing all three grocery sectors included in this report: specialty (Whole Foods twice in 2008 and Wegmans in 2009), big-box (Target in 2010), and conventional (Safeway in 2011). Copyright 2011 by Greenpeace. All rights reserved.